Worried about farmed fish and what's on your seafood plate these days? Join San Diego's Berry Good Food Foundation on November 16 for the fourth installment of the non-profit's educational Future Thought Leaders panel series. 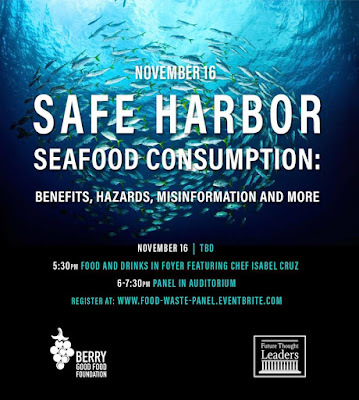 Safe Harbor: Myths, Truths, and Misinformation is a free-to-attend event that will begin with food and drinks from Chef Isabel Cruz followed by a rivetting discussion featuring scientists, fishermen, chefs, and nutritionists who will discuss the impact our seafood choices have on the well-being of the oceans. 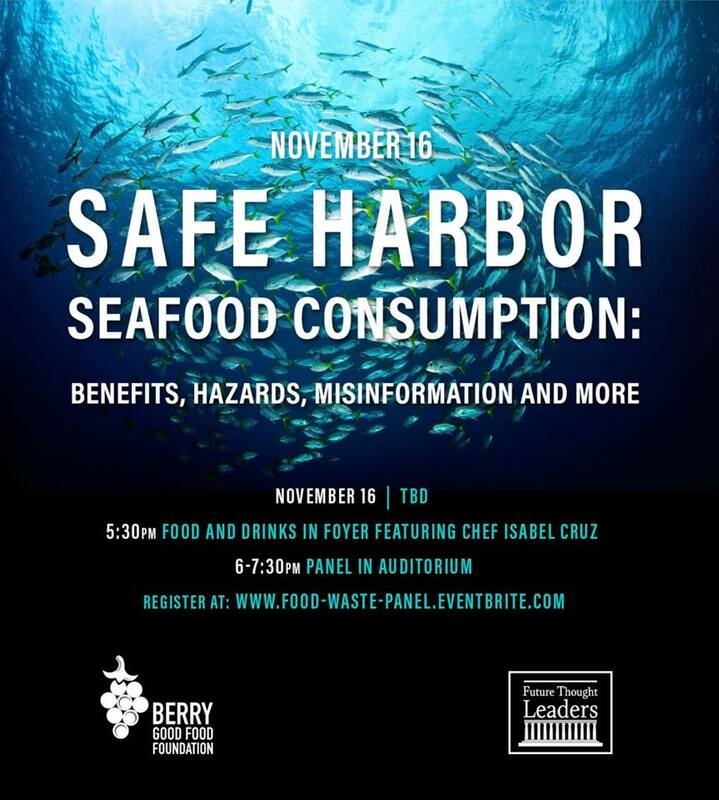 Taking place as part of this year's San Diego Bay Wine + Food Festival, Safe Harbor: Myths, Truths, and Misinformation will be a multi-disciplinary symposium discussing the impact that our seafood sourcing may have on the long-term vitality of the seafood supply and the well-being of our oceans. Because human seafood consumption impacts the ecosystem, the Berry Good Food Foundation wants to spotlight the importance on our own well-being - and that of the oceans - that we understand the effects that our dining choices have on the world and on the livelihoods of communities dependent on the industry. The event will take place at the United Portuguese Hall in Point Loma (2818 Avenida De Portugal), beginning with complimentary dishes and beverages from Chef Isabel Cruz, featuring local farms and fishmongers. The live panel discussion will then take place from 6-7:30pm, with panelists Corinne Bush (Clinical Nutritionist), Heidi Dewar (NOAA), Tommy Gomes (Catalina Offshore Products Fishmonger), Amro Hamdoun (Scripps), Rick Moonen (Chef), Sarah Rathbone (Dock To Dish), Rob Ruiz (Chef), Paula Sylvia (Port of San Diego), and moderator Michelle Lerach from the Berry Good Food Foundation. Attendees are required to register online in advance of the event. For more information on the Berry Good Food Foundation, visit berrygoodfood.org.